I’m a NYC girl and never heard of Brunswick Stew until someone brought me some he'd made. (It was prior to my becoming veg.) He had been cooking it all day, and it showed. It was delicious. 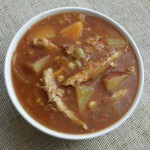 A few days ago I was trying to think of another “soup” to make and Brunswick Stew popped into my head. After trying to remember the ingredients he used, and checking out other recipes to see if I had left out anything major, this is what I came up with… and it is GOOD! Sautee chicken and beef until toasty and while sautéing, add garlic powder or fresh garlic. If using fresh, make sure it’s sautéed well. Remove all to a bowl. Sautee onions until translucent, and add broth, Worcestershire Sauce, and bay leaves, bring to a simmer and add potatoes. When potatoes are almost cooked through, remove bay leaves, and add all other ingredients. Add remaining ingredients, and seasonings to taste. Add chicken and beef back into the pot, and simmer until “done.” (Potatoes cooked through and flavors melded.) Adjust seasonings. *I used brown sugar in place of barbecue sauce, which I don’t like. *Use a touch of Liquid Smoke, if you like a smoky flavor. I love how it came out with the brown sugar, vinegar, and hot sauce. 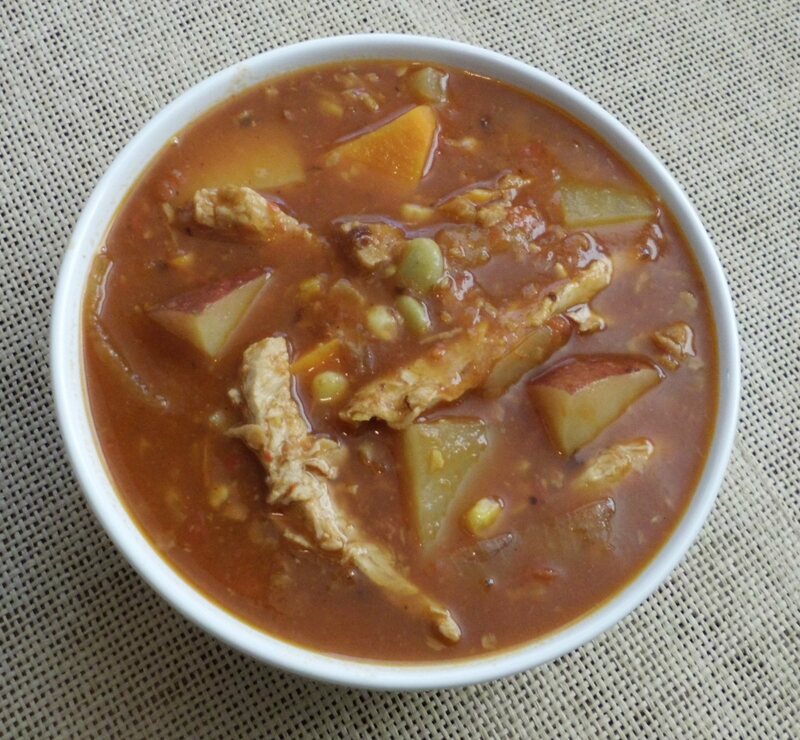 It’s delicious on the first day (and more soup-y), and even better (and more stew-y) on the second, and third, days!